RE•WORK | Blog - AI in Asia: What’s new? AI in Asia: What’s new? With the rise of AI, Deep Learning and Machine Learning, it is the chance for business leaders to improve human productivity, business revenue and innovation. The Asian market is aware of this and is starting to seriously invest in AI technologies. According to new research from Accenture, AI could boost the labour productivity in Singapore and double its annual growth rate by 2035. But how? By adopting AI, Singapore will enable people to make more efficient use of their time and specialize in what they do best - create, innovate and imagine new things. This sounds great but people will need to develop a strategy in order to achieve such results. Indeed, Accenture recommends companies, consumers and society to prepare the next generation, encourage AI-powered regulations, advocate a code of ethics for AI and address the redistribution effects if they want their annual rate to increase. The situation in Japan is becoming critical – the low birth rate has shrunk the working-age population by around 10 million during the last 30 years. The government is also pressuring companies to ensure vacation entitlements are taken and to cut long hours, which is not a bad thing right? It would be if they were willing to counterbalance mass immigration to ensure sectors such as nursing care, manufacturing, construction and parcel delivery, where clearly it lacks employees. This leads us to conclude that robotics and artificial intelligence may be the only solutions as long as mass immigration is still seen as political/social suicide in Japan. “We need more workers from overseas, from the Philippines and places like that. If the government is going to do something, it should promote that,” adds Sugita. Microfinance has been widely recognised as helping people to rise out of poverty. Indeed, by giving them a loan, people can generate income by building a business and therefore create stability for their families. Ayesha Khanna believes that microinsurance must go hand-in-hand with microfinance and she sees artificial intelligence as the catalyst for both in the emerging markets of Asia. She’s testing that theory with her team through a microinsurance-as-a-service platform called Nikka that was recently launched. According to Khanna, low-income borrowers want to insure small, immediate purchases and therefore offering microinsurance makes the most sense. The Nikka platform is only the beginning as they’ll be expanding this initiative into Bangladesh and the Philippines any time soon. What if AI could prevent crime? That’s what China is trying to do by using a system that tracks individual’s movements and behaviour to assess their chances to committing a crime. But how does it work? The big-data rating system analyses where someone goes and what he or she does and will warn the police of highly suspicious groups. For instance, if that person frequently visits places like a knife store, it will be considered as a potential threat. This obviously raises the subject of the personal information protection regulations so valued by Europeans. 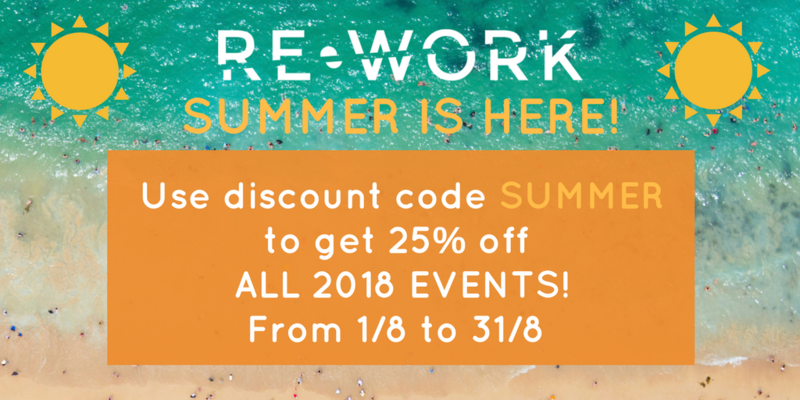 To learn more about AI applications across multiple industries, read more articles on our blog & view the full calendar of RE•WORK events and save 25% on tickets to any 2018 event before 31 August with the discount code SUMMER.